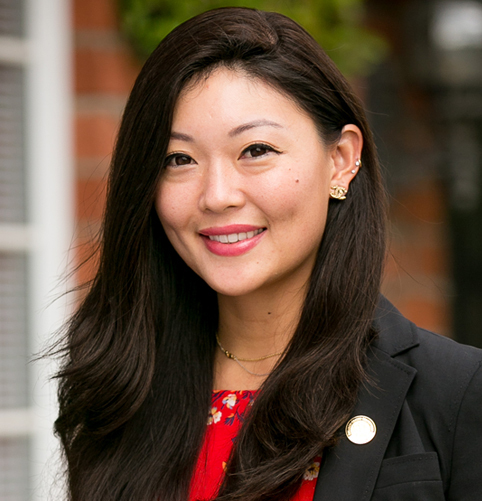 Mindy C. Hsu was born in San Marino, CA, obtaining her Bachelors of Art in Comparative Literature from UCLA in 2008 and ultimately her Juris Doctorate degree from Southwestern Law School in May 2012. She was admitted to the California State Bar and United States Central District in December 2012. During law school, she clerked at Children’s Law Center, a non-profit dependency law firm dedicated to representing minors detained by the Department of Children and Family Services. Prior to joining the firm, she practiced one year of general civil litigation including family law, labor and employment, at a boutique firm in Alhambra, CA. Afterwards, she worked at a workers’ compensation defense firm in Irvine, CA, for three years representing self-insured employers, insurance companies and third party administrators. Ms. Hsu joined DiMarco Araujo Montevideo in February 2017, in representing injured workers, and strives to provide the best possible representation with compassion and determination. When not practicing, Ms. Hsu is active in the Asian American community and has volunteered her time at Chinatown Service Center and has participated in free legal clinics hosted by the Asian Pacific American Legal Center (APALC), the Southern California Chinese Lawyers’ Association (SCCLA), and the Chinese American Citizens Alliance. Ms. Hsu is conversational in Mandarin Chinese. Ms. Hsu enjoys spending her free time with her family, and her three dogs, Penny, Gracie, and Cookie.